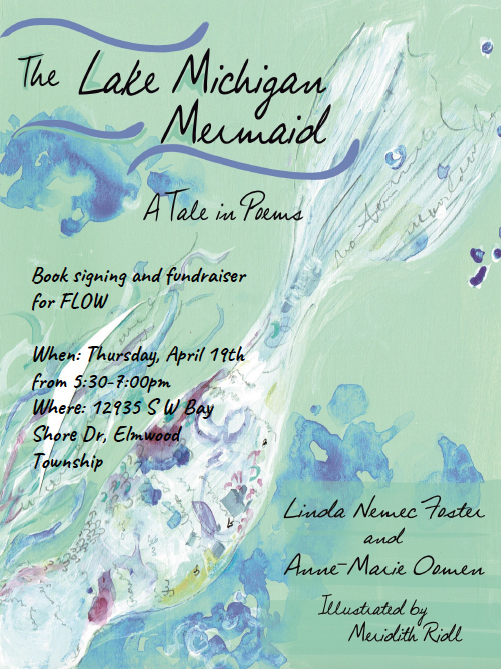 Poets Anne-Marie Oomen and Linda Nemec Foster will read from their new book, The Lake Michigan Mermaid, at a fundraiser for FLOW on Thursday, April 19. The reading and reception take place from 5:30-7:00 p.m. at the Centerpointe conference center, top floor, on the west arm of Traverse Bay. 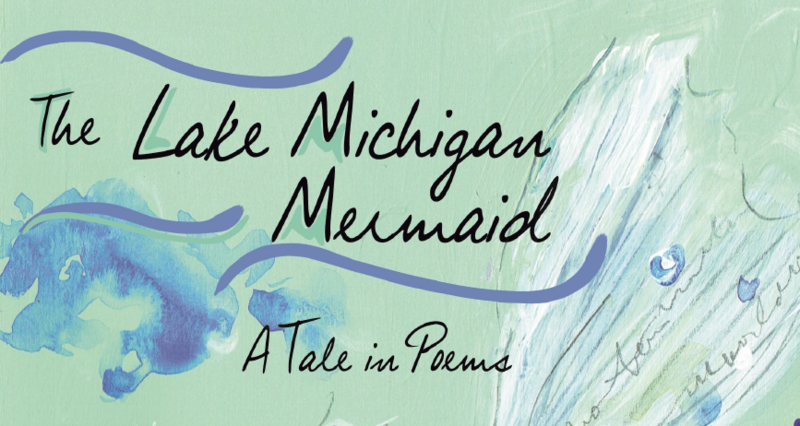 Published by Wayne State University Press for the Made in Michigan series, The Lake Michigan Mermaid tells in poetry the story of a troubled young girl who seeks a mythical creature, the true spirit of the lake, a beautiful mermaid that she believes lives in Lake Michigan waters. The Lake Michigan Mermaid is a tale of friendship, redemption, and the life-giving power of water. At the event, the poets will read poems interspersed with the story-of-the story: how the book came to be. How did this project begin? How long have you been talking about it? 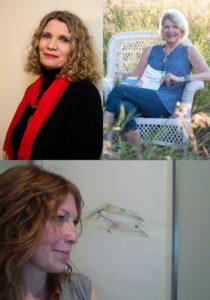 Linda Nemec Foster (LNF): This project began as a result of both of us being published in an anthology of women writing on the Great Lakes titled, Fresh Water (edited by Alison Swan and published by Michigan State University Press). In 2008, we were invited to give a reading at the Saugatuck Center for the Arts for the anthology (along with some of the other contributors) and the idea for the poetry sequence was planted that night. Actually, we weren’t talking about it for long before we started writing the poems. Anne-Marie Oomen (AMO): As Linda said, the idea hatched the night of that reading over ten years ago–you’ll hear about that story when you come to our presentation–springing from a single mysterious remark by a key person among the writers. Writers never know exactly where or when ideas will rise up and make demands, but I think our participation in that rich lake of words–all those stories inspired by the Great Lakes–created the conditions for the idea to flourish. What inspired the mermaid motif? And the connection to a girl? LNF: At the reading (that I described above), someone said it was too bad there were no Lake Michigan mermaids. Both Anne-Marie and I were intrigued by the question. Later that night we had the first of many discussions about creating a poetry sequence that would weave a contemporary fairy tale involving a mermaid, a young girl, and their connections to Lake Michigan. Your promotional materials say the book was written in secret over a decade. Could you explain that (unless that would give away too much of what you’re saying at the event)? LNF: Yes, the ten-year-old secret is true and there were two reasons for keeping the project “under wraps” for so long. But, as you stated, I’d rather have us explain the details at our presentation–more interesting that way—so the intrigue continues! AMO: What we can say is that ten years built a bond of trust in each other. We kept coming back to the pleasure of the partnership and the richness of writing about this subject. Trust is not something that just happens; it grows as you come to a deeper knowledge of another person. That came with each poem, each time we returned to the project. There must be extra challenges to co-authoring a book of this kind. How difficult was it? LNF: Yes, there can be challenges, but this project was a thoroughly enjoyable experience because of the deep respect, admiration, and (above all) trust that Anne-Marie and I have for each other. I feel so fortunate to be on this journey with her. AMO: Ditto on all counts. The biggest challenge, which is the challenge all artistically inclined people face, is the way life simply interrupts the flow of artistic work. Part of being a literary artist is exercising tenacity, staying with it–even through ten years of life stuff. Not to be too self-aggrandizing, because there were moments when I thought the project might have slipped away–as others have–but one of us always brought it back. Illustrations are critical to a work like this. How did you go about finding an illustrator and what were you looking for? LNF: The illustrations are absolutely critical. As a matter of fact, the editor (at Wayne State University Press) accepted the manuscript for publication on the condition that we find an illustrator. We “passed over” three different artists before we discovered the haunting and beautiful work of Meridith Ridl. There are more interesting details to this part of the book’s back story, but I’d like to save them for our presentation. AMO: We knew this mermaid would NOT be a Disney Ariel (from the Little Mermaid) but something darker, more haunting and mysterious, like our lake. It takes a particular artistic vision and skill to create that feeling in an image. That Meredith Ridl brought that vision full circle is such a gift; you’ll hear that story too. How do you each feel about the condition of our water? Do you think a book like this can inspire action? LNF: The Great Lakes play a significant part in my personal history. Although I’ve lived in west Michigan for most of my life, I was born and raised in Cleveland near the shores of Lake Erie. I saw firsthand the devastating effects of rampant pollution: the spontaneous combustion of flames on the Cuyahoga River and the impact on the fragile ecosystem of Lake Erie. Although more work needs to be done, it’s gratifying to see the positive changes that have occurred in those waterways during the last fifty years. We can contribute to the nurturing and healing of our waters and environment: it just takes a dedicated mindfulness. I hope our book reflects that mindfulness. Because even though the main characters of the book are a young girl and her mermaid companion, the true spirit of the tale is the deep heart of Lake Michigan. AMO: Lake Michigan has, over and over, healed me with beauty, with wildness and calm, with cool water, and strong breathtaking color. It is my life’s blood, and also a life source for me as an artist–even when I am writing about farm life and rural work. All that is threatened when water becomes a commodity instead of a commons. In a world where science is often disregarded or misused for profit, I wonder if our mythical story might be an entirely different approach to encouraging people to think about water, and the lakes, as living entities. I wonder if a single make-believe (is she really make believe?) creature of the lake might help people embrace the aesthetic and spiritual side of these waters. It’s not just about the imbalances, the invasives and the pollution, it is also that when we turn away from the spirit of this lake, we turn away from something essential in ourselves. If we could be touched by the “mermaid,” as the girl is, could we be saved (a little bit) from our own acquisitiveness? How do you get tickets to the event? I looked on FLOW’s website but did not see anything. You don’t need tickets for this event, hope to see you there! I just received the lovely book. I am taken by your artwork and am wondering is there is any way I can obtain a copy of a print of the mermaid without anything except your signature.